Today's blog post was going to be about My Summer Skincare Routine but, I have to be honest and it hasn't changed that much from My Spring Skincare Routine. I ran out of my Garnier Skin Naturals Softening Toner and replaced it with a Garnier Refreshing Toner Start A-Fresh Toner, swapped my Moo Goo Skincare Full Cream Moisturise for the L'Oreal Paris Nutri-Gold Silk and I've added in the Origins GinZing Eye Cream and The Body Shop's Vitamin E Sink-In Moisture Sleeping Mask which I use about three times a week. So instead, I thought I would do something different. 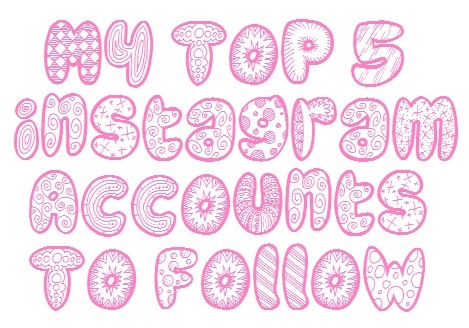 I love seeing this type of blog myself so I thought I would share with you My Top 5 Instagram Accounts to follow. I love my instagram - I'm not someone who posts daily on there, but I do try and post a couple of times a week. I tried to get into the habit of posting once a day but that failed. I adore this girl anyway - but you know that girl that is just so beautiful that you wished you looked like her so much? Well that is Kiah to me. Not just her gorgeous, gorgeous face but her personality, her fashion sense, her kindness, her everything. I could honestly ramble on about her all day because she really is amazing. I am lucky enough to call Kiah one of my close friends, and she really is a doll to know. 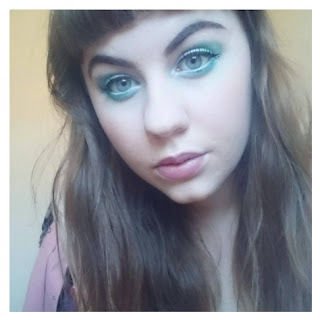 Kiah shares her love for vegan food, animals, beauty and makeup looks on her instagram and I always look forward to seeing what she is going to post next. Lexie is a little doll. 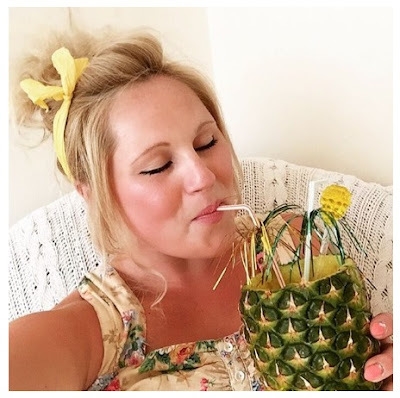 She loves playing dress-up and sharing all of her amazing clothes and decor with her instagram followers. Her smile, eyes, and face are just all gorgeous. I want to own every single thing she posts on her instagram and everything is just so bright, beautiful and full of life and smiles. I love her account and her blog. Stacey is amazing. 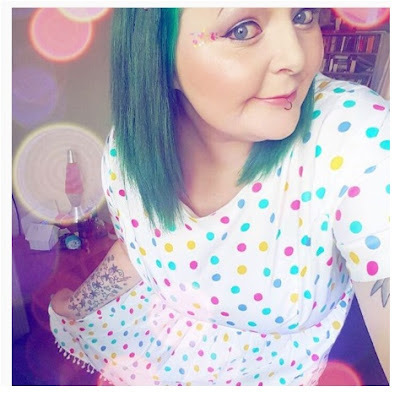 I've been following her for years now, even since I first day got a instagram account, I've followed her through her Slimming World journey, her engagement, doing her home up, her wedding, and now her pregnancy. She has the most beautiful shabby chic looking home which she shares with her husband and her gorgeous Lab who is adorable. This girl is just the best. A true friend. I've met her a couple of times now at blog related events and what-not and she is just lovely. I adore her love for pastel colours not just in her bedroom but on her instagram account as well. 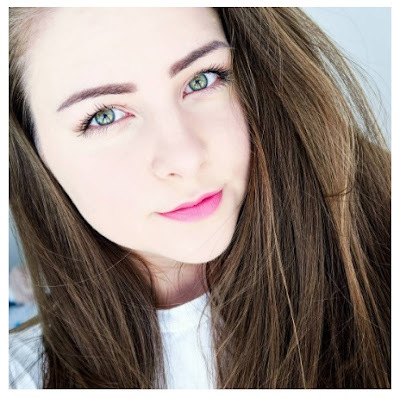 She also shares her love for Primark, DIYs and beauty over on her YT channel too. I couldn't do this blog post about instagram lovers and not include the gorgeous Jemma. If you don't know her already then you must have been living under a rock - Jemma is the creater of The Girl Gang. She is just a darling and one of the best people I know in my life. She's always happy, kind, thoughtful, never seems to let anything get her down and is so down-to-earth. I wish a lot of people in the world where like Jemma. All of these women are amazing and I recommend highly that you go follow each and every one of them on instagram and on their other social media accounts, also check out their blogs and YouTube channels for those of them who have them. Also, please send me your instagram accounts too so I can check them out and possibly even give you a follow.